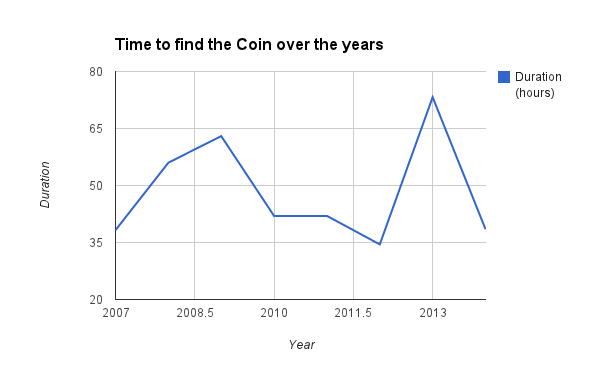 The spike from the epic 2013 Hunt is a bit aberrant, but overall it took less time to find the coin this year as opposed to the 2008-2009 Hunts. 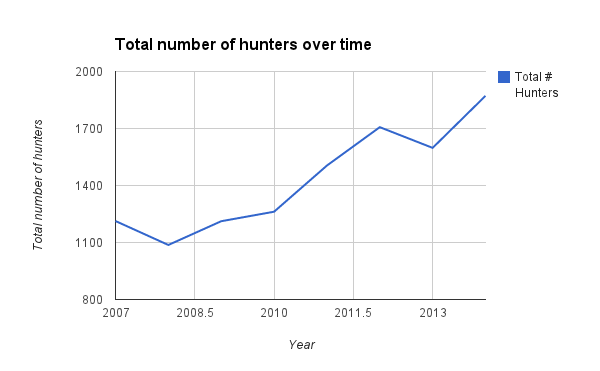 This is somewhat alarming, since running a hunt for 2000 hunters is a significantly different challenge than running one for 1000 hunters. A number of caveats are in order. Many of these numbers are estimates, and this does not disaggregate remote from on-site solvers. Because each organizing team gathers statistics differently, the thing we can infer from this is that the Hunt has been growing over time. This year we had a record-breaking 62 teams register (actually more, but some dropped out — I’m looking at you, Fangorn Foureast). The growth in this chart is not because we have more mega-teams (100+ people) — there are only 3 of those, after all. 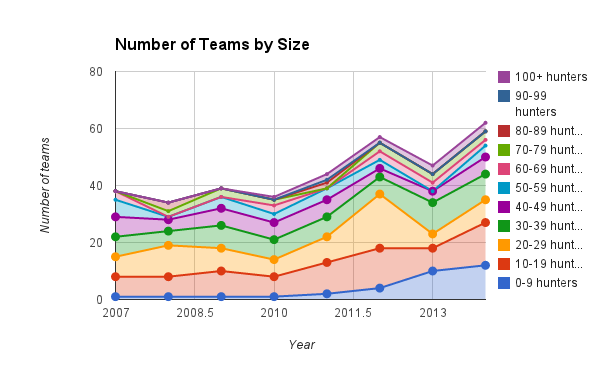 The biggest change in the last 3 years is the total number of teams in the under-50 (or under-40, really) category. We have a large number of moderate-sized teams who need enough space for their HQs that they can’t do it out of their dorm rooms. This growth in the number of smaller teams is part of why adopting a design philosophy like Erin’s is important. I’ll have to dig through the raw numbers from this year’s hunt to get more specifics about the split of this year’s hunters. As Erin pointed out, with the increase in “smaller” teams, the question is who is on these teams — mostly students? A post for another time, I imagine. I’m on the organizing committee for this pretty cool conference at MIT this week. Any readers of the blog who are in Cambridge on Friday might want to attend the plenary lecture. I hear it’s going to resolve a fundamental enigma that has been puzzling scientists for decades. 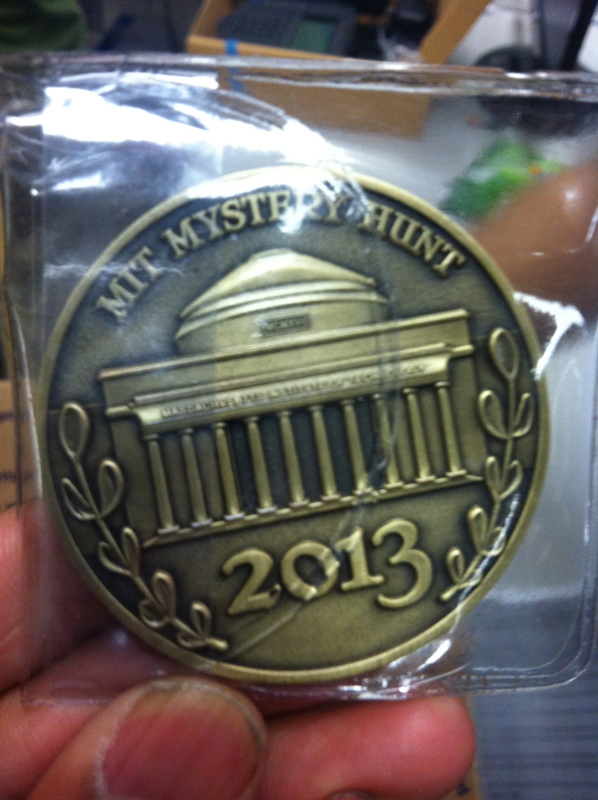 We’re pleased to announce the 2014 Mystery Hunt! This year’s Hunt will begin at 12pm on Friday, January 17, 2014 in Kresge Auditorium. 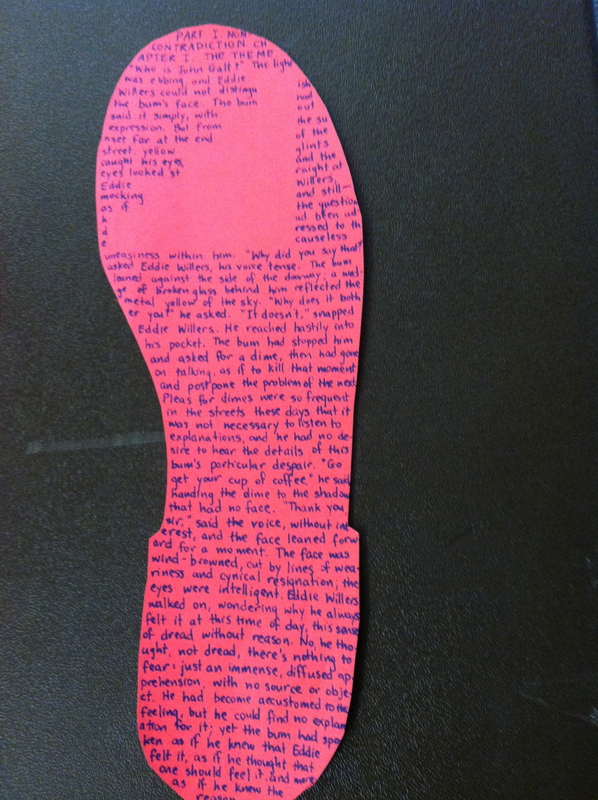 Instructions for unattached hunters can be found at http://web.mit.edu/puzzle/www/unattached.html. Just like in past years, we’ve obtained a number of rooms from the Schedules Office and will be assigning them to teams who need to use classroom space for their HQ. If you need classroom space for your HQ during Hunt, please indicate so on your registration form in the Base Reservation System section. Please do not contact the Schedules Office directly for space during Mystery Hunt, as we’ve already worked with them to reserve rooms. A list of this year’s rooms is available at http://web.mit.edu/puzzle/www/rooms-14.html. The registration deadline for teams requesting classroom space for their HQ is December 18. We ask that all teams try to register as soon as possible. We’d prefer teams to be registered by January 6, although registration will stay open right up until the beginning of the Hunt. We’d much rather receive a partially filled out registration form now with final details emailed to us in a few weeks than a fully completed registration form submitted right before the deadline. 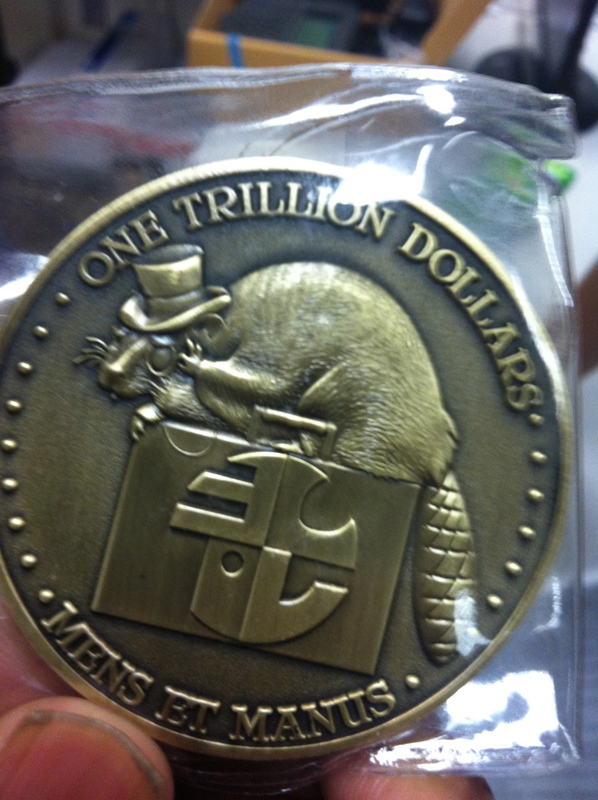 More details about this year’s Hunt can be found at http://web.mit.edu/puzzle/www/currhunt.html. We’ll email out any major updates, but up-to-date news can also be found there. If you have any questions, you can always reach us at puzzle@mit.edu.